Every weekend the tiny fashion community gets another round of fabulous items on sale for 50L. 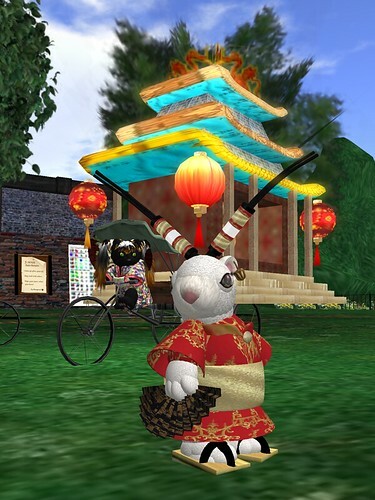 This week there are several oriental themed items, plus some other really cool deals. Check out the stores for the blueberry waffles of goodness from Friday Feb 25 2011 (8pm SLT) to Sunday Feb 27 2011 (8pm SLT). Super model Karma in TigPig's "International Kimono"
standing in front of Clover and her parade float. 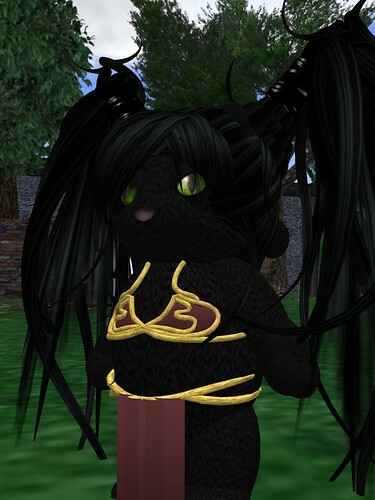 Misa in Cyzicus Tiny Animations' "Tiny Slave Leia".